The Xerox AltaLink B8090 Multifunction Printer allows for you to print, copy, scan, and fax! It can print up to 90 pages per minute in both color and black and white. The B8090 has a duty cycle of up to 400,000 pages per month. 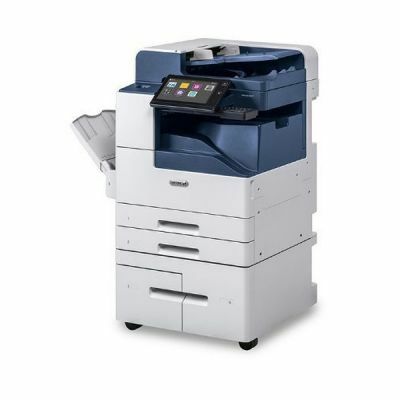 This copier is recommended for mid-sized or large businesses. The Xerox AltaLink B8090 MFP has extra features such as Mobile Printing, added security features to help secure your files, and additional finishing options to make your designs and copies look great! These added tech features make your work day much easier and help you get more tasks done in your day. When using Xerox for your copying needs you no longer have to worry about the stress of installing your devices. Xerox makes sure that it is easy to install and that you can do it with all of the equipment that you already have located in your office. You don’t have to worry about purchasing extra equipment to install it. You can easily install it yourself or we can help you install it. Call us today and we can get you set up with the Xerox AltaLink B8090 Multifunction Printer!